It seems to be the time of the year for leaked roadmaps: first we saw AMD's desktop and mobile roadmap for the next two years leak out last week, and now we're seeing an Intel roadmap leak that details their desktop CPU plans for the next year. Previous leaks have already indicated that both Broadwell and Skylake for desktops will launch this year, and this roadmap confirms it. Socketed Broadwell is listed as launching in Q2 2015, supporting Intel's 9-series chipsets and the LGA 1150 socket, while Skylake will launch in Q3 2015 alongside an updated platform and new CPU socket. Five 65W Broadwell chips are expected to launch in Q2, all with Iris Pro 6200 graphics and all with four cores. Two of these are unlocked processors designed for socketed desktops - the Core i7-5775C and the Core i5-5675C - while another three are R-series BGA chips for integrated designs like all-in-ones. The roadmap suggests these chips will be updated with minor speed bumps in Q4. As for the desktop Skylake-S class of products, at least five CPUs are listed on the roadmap, shown to be direct replacements for current Haswell products. 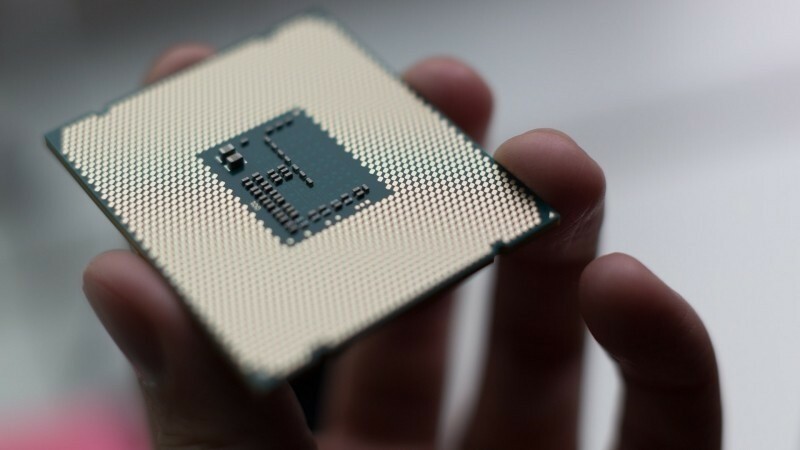 The i7-6700K, for example, will succeed the i7-4790K as Intel's high-end unlocked CPU, while we'll also get an i5-6600K and a variety of standard locked processors. Like with Broadwell, possible speed bumps are listed for Q1 2016. Also coming in Q1 2016 is Broadwell-E, Intel's high-performance multi-core CPUs that will succeed the current range of Haswell-E chips. Before that, we can expect a speed bump for existing chips in Q3 2015. If this new roadmap is legitimate, which it seems to be considering its similarity to previously leaked information, we can expect Intel to launch new desktop CPUs in just a few months, ending a lengthy drought of desktop CPU launches.